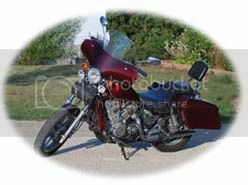 Kawasaki Vulcan 750 Forum : Kawasaki VN750 Forums > Misc Forum > Vendors > Total scam !!! In August 12 2013 I paid through PayPal for an engine for a KAWASAKI VN700 VN750 VN 700 750 VULCAN ENGINE MOTOR 2004 WITH 5637 MILES . Having seen the ad in eBay and not having the money at the time for shipping also, the seller persuaded me to go and buy outside the eBay proses, paying for the engine first ( so I would not loose the offer) and pay whenever I could for shipment. Agreeing to that I Paid for the Engine in August 12 . Later on, having the money, I paid the shipping in October 25 . After stalling me with numerous excuses of absence, he mailed a package in November 25 2013. The Package arrived in Greece December 31 2013, with Postage total value $50 and postage fees of $51.38, containing scrap metal. The photos show what I paid and what I got!! Last edited by vass; 01-14-2014 at 12:00 PM. NEVER EVER EVER deal with anyone from ebay, outside of ebay ,via text, email, phone. It voids any safety contract/policy set forth by ebay! I too found out the hard way a long time ago. Vass, report it here ! You are so right !! I lived in the States for about 10 years and found American people to be straight forward. But I guess scam is everywhere !! Love your ways Goofin .... but distance makes it hard to have such fun!! For any one who can help me i can split the $1.200 the scambag stolen from me !! I've had good luck with PayPal backing my purchases. They helped me promptly with a couple of issues. It doesn't hurt to explore your options. I am sorry to have seen you get screwed like that.